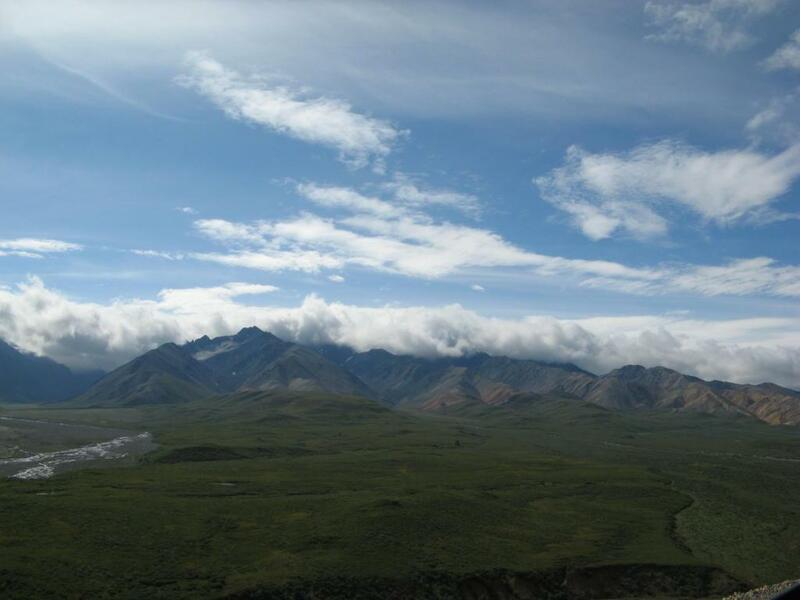 Day 5 of the trip finds us inside Denali National Park. While I have a ton of pictures of mountains and wildlife, I'll just go with these three. 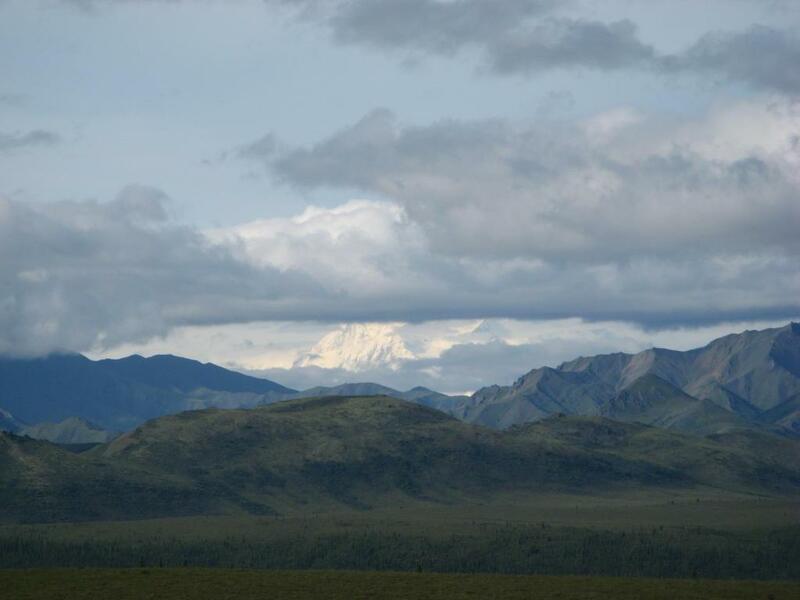 Next, we had good luck and found a group of grizzly bears. They started in the woods, then eventually decided to cross the road, directly in front of this bus. Those people got an amazing view of the grizzlies! 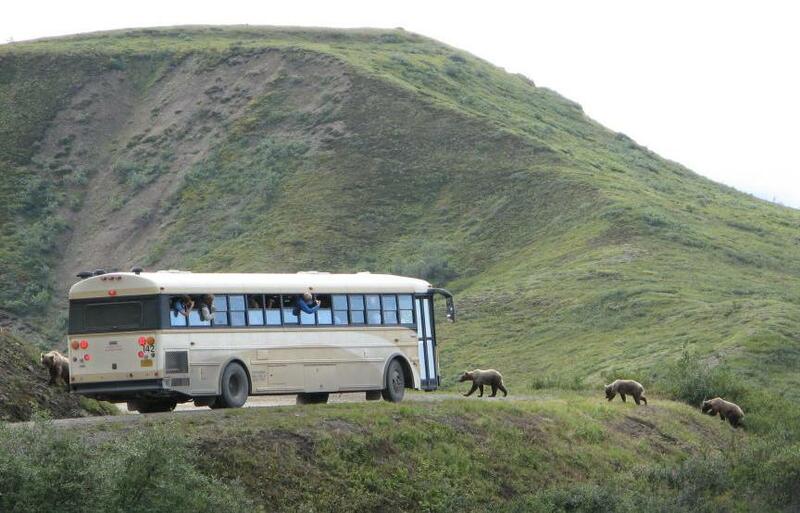 It looks like the bears were going to board the bus, but if you see mom on the left side of the bus, the little ones were just following her.